These beautiful high quality winter turnout horse blankets are made with heavy waterproof outer shells to ensure your horse stays dry and warm through the bitter cold. The blankets feature double reinforced stitching and heavy duty metal buckles. Learn how to measure for a winter horse blanket. This is just what you need to keep your horse toasty and warm this winter! Our premium quality Heavy weight turnout blankets are built to last. Heavy duty waterproof 1200 Denier outer shell and 350 gram poly fill ensure that your horse stays dry and cozy through even the bitterest cold. This red blanket is just what you need to keep your horse toasty and warm this winter! Our premium quality Heavy weight turnout blankets are built to last. 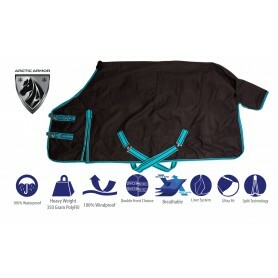 Heavy duty waterproof 1200 Denier outer shell and 350 gram poly fill ensure that your horse stays dry and cozy through even the bitterest cold. This purple blanket is just what you need to keep your horse toasty and warm this winter! Our premium quality Heavy weight turnout blankets are built to last. Heavy duty waterproof 1200 Denier outer shell and 350 gram poly fill ensure that your horse stays dry and cozy through even the bitterest cold. This brown blanket is just what you need to keep your horse toasty and warm this winter! Our premium quality Heavy weight turnout blankets are built to last. 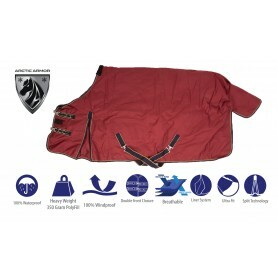 Heavy duty waterproof 1200 Denier outer shell and 350 gram poly fill ensure that your horse stays dry and cozy through even the bitterest cold. This brown plaid blanket is just what you need to keep your horse toasty and warm this winter! Our premium quality Heavy weight turnout blankets are built to last. This black & turquoise blanket is just what you need to keep your horse toasty and warm this winter! Our premium quality Heavy weight turnout blankets are built to last. 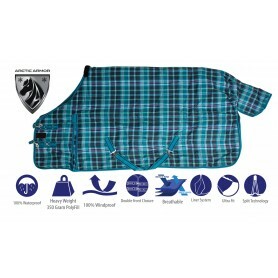 This navy plaid blanket is just what you need to keep your horse toasty and warm this winter! Our premium quality Heavy weight turnout blankets are built to last. This burgundy red blanket is just what you need to keep your horse toasty and warm this winter! Our premium quality Heavy weight turnout blankets are built to last. This red stars blanket is just what you need to keep your horse toasty and warm this winter! Our premium quality Heavy weight turnout blankets are built to last.